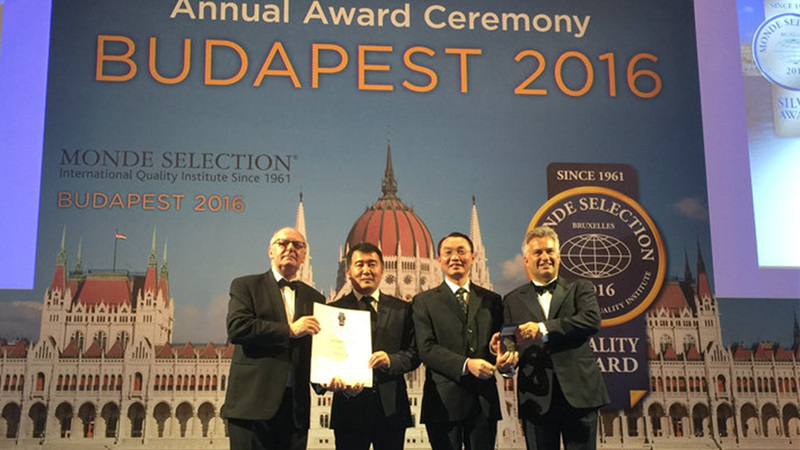 On May 30, 2016, six products of Infinitus (China) Company Ltd., a member of LKK Health Products Group, were granted with quality labels by the Monde Selection in Budapest, Hungary. This year, more than 2,900 products of over 900 companies from 84 countries were tested. Eventually, Infinitus' six products including Health Tonic, Gest-Aid Plus, Blueberry Drink, Collagen Drink, Beautrio Intensive Repairing Essence and Beautrio Whitening Moisturizing Series were awarded along with star products of other renowned companies, such as Meiji from Japan, Dewar's from the U.K. and Maxims from Hong Kong. Among them, Infinitus' flagship product Health Tonic set a new record. Monde Selection Chairman Patrick de Halleux said, "The product's Health Tonic" produced by Infinitus (China) Company Ltd. is the first Chinese health tonic produced with Chinese medicinal herbs that has been awarded a quality label by Monde Selection. After examination on Health Tonic's TCM ingredients and the effects and function description of complex polysaccharides, our experienced experts and judges recognise that Health Tonic lives up to international high standards of food and its quality is in accord with European quality standard." 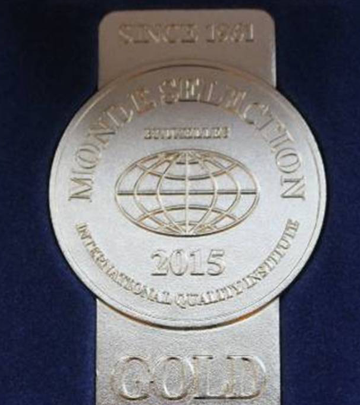 In 2015, Infinitus was recognised by the Monde Selection for the first time. Infinitus Beautrio Whitening Essence and Infinitus Dried Tangerine Peel Pu'er Tea were honoured with the quality labels. Monde Selection is one of the most historic and authoritative third-party food and quality testing institutes in the world. Every year, the jury comprising over 70 world renowned oenologists, nutritionists, dieticians, Michelin starred chefs, brewing engineers, university professors and so on conduct a stringent and comprehensive evaluation. They not only judge the taste, smell, visual aspect and all the classical organoleptic criteria, but must also take into account the information provided for the consumers, the ingredients used, innovation, packaging and the veracity of the commercial claims. Therefore, it is widely recognised by the industry that these quality awards by the Monde Selection embody that the awarded producers are granted with a quality "passport" to the world.